If you have a local business or if you perform SEO services for local businesses, you know how important local SEO has become. Ranking locally in Google, Yahoo and Bing is essential for attracting customers who are seeking everything from pizza to oil changes to dentists. Even if you’re knowledgeable about the basics, however, there are some common mistakes that may be affecting your results. Below are nine of the top local SEO mistakes you need to avoid. You might think that you need a physical address to take advantage of local SEO, but this isn’t the case. Home based and online businesses that want to rank in a specific location can do so even without a physical address. When creating your listings, make sure you include all other relevant information, such as website, phone number and email address. It’s now essential to have a mobile-friendly website. This is important for two reasons. First of all, Google uses this as a ranking factor. Secondly, many of your potential customers are going to be searching for your business using mobile phones. If they can’t load your website properly, they’ll find one of your competitors. Mobile searches are especially popular when people want something spontaneously, such as driving around looking a restaurant. You need a website that’s optimized for mobile users to reach such people. Just as with any other type of SEO, the quality of your links is extremely important for ranking locally. It’s tempting to get backlinks from as many sites as possible in your quest for a higher ranking. However, the wrong links can actually harm your results in the long run. You should research any potential links before submitting your information to them. Some examples of high-quality links include local media, established business organizations and nonprofit organizations. If you’re not sure about an organization or website, make sure you research it. A good link comes from an organization with a legitimate function. 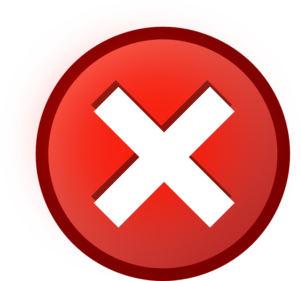 If the site only exists to display advertising and provide links to businesses, it’s one you should avoid. NAP refers to name, address and phone number. This is obviously key information but all too often it’s not listed correctly. One issue is that information changes but is not updated. Having an outdated address or phone number makes it hard for people to find you. It also affects your ranking. You also want to make sure that your NAP information is as consistent as possible across the internet. Some businesses change their name or use different variations on it. For example, if your legal business name is John J. Smith Plumbing, Heating and Contracting, there are many possible ways to list this. Check how your NAP information is listed and make any necessary updates to ensure accuracy and consistency. Listings such as Google My Business give you the opportunity to list your business under multiple categories. You should be listed under every category that someone might use to search for you. For example, if you have a bar that serves food, you could be listed under both bar and restaurant. Other categories, such as sports bar, might also apply. In general, it’s best to be listed under as many categories as possible. They should, however, accurately reflect what the business offers. It’s well known that you need quality content to rank a typical website. What’s not as widely known is that this rule also applies to ranking locally. Many businesses websites have very thin content. Some only consist of one or a few pages with basic information. Google is increasingly looking at the overall quality of a website for local rankings. You should update your site regularly. A good way to do this is to add a blog if you don’t already have one. This gives you the opportunity to add fresh content regularly. It also gives you more articles that link to your business. Reputation management refers to reviews and ratings about your business. They may appear on Google, Yahoo, Yelp or elsewhere. First of all, having no reviews at all puts you at a disadvantage. If you need reviews, you may have to gently prod your customers to write some for you. Negative reviews, of course, can be extremely damaging to a business. The most obvious way to avoid this is to provide great service. However, this won’t always stop disgruntled customers from complaining. Do whatever you can to resolve customer complaints, even if you feel the customer is wrong. If a negative review appears, you may still be able to get it removed by contacting the customer and offering to make amends. Duplicate listings on Google My Business often happen accidentally for a variety of reasons. You may have stopped and restarted a business. You may have hired multiple SEO agencies whose actions overlapped. Having duplicate listings violates Google’s terms of service. This can cause your business to get penalized or even removed from Google. You should check with Google and other directories and remove any redundant listings.